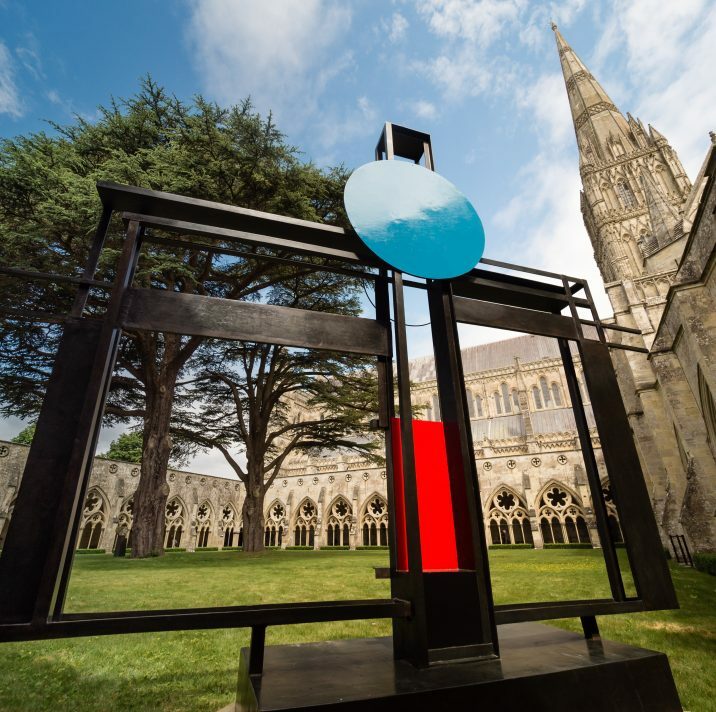 A sculpture by ACS member Barbara Hepworth is now back on permanent display in the grounds of Salisbury Cathedral following two periods on loan to Portsmouth Cathedral and Winchester Cathedral. Construction (Crucifixion): Homage to Mondrian was gifted to Salisbury in 1969, three years after its completion. The sculpture is thought to explore the duality of Jesus Christ in its use of geometric symbols and features bold colours borrowed from the palette of ACS member Piet Mondrian, referenced in the artwork title. The newly conserved 2.5 ton sculpture has been installed in the South East corner of the Cloister Garth, having been winched into place over the roof of the building.